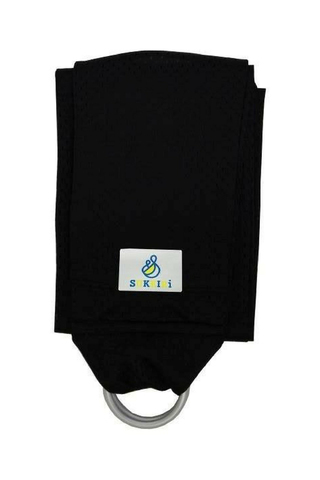 Safe, comfortable and easy to use, SUKKIRi Mesh Ring Sling allows you to bond with your baby in style. Folds neatly into the shape of a pouch, SUKKIRi Mesh ring sling comes with durable aluminum rings with safety tested in Japan. Keep cool in hot weather, our SUKKIRi Mesh Ring Sling has silky touch which is nice to you and your baby. ATTENTION: Before using the ring sling, please read accompanying Safety & User Guide enclosed in the packaging.